This is one of those movies...that I heard the name of alot in the 80's, and it had the great song title to it....but I never saw it. I wasn't sure what it was actually about. Has anyone seen it? And did you like it. I know it is a love story with Jeff Bridges and Rachel Ward. I saw it when it came out. It was ok but not that special. I liked the title song by Phil Collins. It was basically about an ex-football player turned detective who is hired to find the wife of some rich dude. The movie was boring to me Miss Isis....but the song is awesome....I love Phil Collins....I even saw the title of the thread and started singing it....awww love it! Muff you hit the nail on the head. I would watch the movie just to see the song. It was kind of slow moving, but you cannot help but just absolutely love the song! One of my favorite movie songs of all time! I have accidentally landed upon this movie. I just flicked through some of it briefly and just about to sit down and watch. I remember the car racing scene from when I saw some of this as a midday movie from taking the day off school. I thought Ferris Bueller's record of 9 times absent was pretty tame. Can't wait to sit and watch this. I like Against All Odds and own the dvd. Not much action in it but i like the feeling it has. Pure 80s. Love the locations, the Collins tune and the cast is excellent. 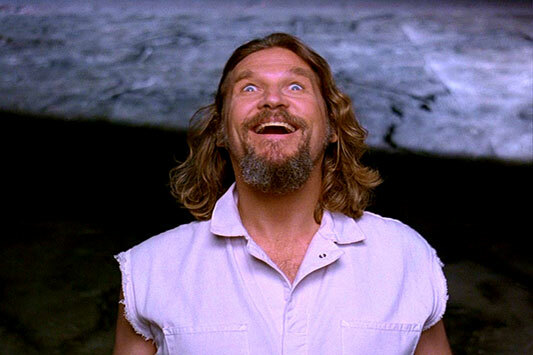 Jeff Bridges is always at his best when he plays a 'has-been' character (preferably on alcohol or drugs). 8 Million Ways To Die, The Big Lebowski, Crazy Heart.. he's the man ! I wonder if ISIS ever saw this film. If so, what did you think? I loved it and always look forward to seeing it again. "Against All Odds" is only an OK movie, good cast, good locations, good song, good car chase, yet... It's lacking in excitment. The original called "Out of the Past" with Robert Mitchum and Jane Greer is great. Come to think of it, Jane Greer was in both films! We don't care, we still want ze money Lebowski. Yeah, I watched it and didn't think much of the actual movie but the locations and other stuff mentioned was good. Robert Mitchum is an awesome actor BTW. I have never seen the Phil Collins video and it is on the music channel on cable right now. Awesome. I actually really liked the movie when I saw it. My brother said he didn't think it was all that great. However I love the Neo Noir style, Miami Vice esque drama suspense. James Woods is great as the bad guy as always. Jeff Bridges is good in it. The locations music and pacing are all very good in my opinion, I want to be in an adventure like that, only without all the risk of death or personal injury. But Rachel Ward stole my heart and the show, I wanted to give her a big kiss at the end. All and all I thought it was decent. I bumped this back in 2012 for the original poster. Watched it this week and loved it again. The things I enjoy about this movie. The opening carribean scenes. Its set in Cozumel but dont know if it was actually there. The tough, hard personality of Bridges character. The decete is boiling over in this flick. You too huh? I've always wanted to view it but had other things going on in the 80's. Last week or so it was on HBO and, naturally, I missed it. Bridges is one of those actors who has been a constant figure since way back when up until today. I'll watch his films because he doesn't come across as a pompous clown. "Against All Odds" is a decent '80's thriller. I had seen bits & pieces of this back in the day, but never saw the film in it's entirety until the 200X's (on DVD). Later watched it on Blu. Good story, fantastic scenery, and great acting on the parts of all the cast members. Against All Odds is okay, but a pale, pale comparison to the original, Out of the Past, with Robert Mitchum and Jane Greer. It's too soapy and filmed too much like a perfume commercial for me, which dilutes that it has excellent acting (James Woods is especially effective), there's an amazing car chase, and, of course, one of the greatest Phil Collins ballads on the soundtrack. It had all the elements, but Taylor Hackford, the director, just didn't have the ability to put them together in a good way.